Terry Gilliam made his start as the animator for Monty Python’s Flying Circus, and also collaborated on Python sketches as well as appearing on screen. His animation work was primarily based on cut-outs and collage, and that definitely gave him a great beginning and background. He was somewhat isolated from the group, busy doing his own thing, and that set the blueprint for him film career to come. Over the last 40+ years, he has created some of the most imaginative, surreal and funny movies ever made. His most recent film, The Man Who Killed Don Quixote, has been something of an millstone around his neck for the last three decades—but now it’s finally coming out. Over the space of his career, Gilliam has had one foot in Hollywood and the other in European cinema. He has struggled throughout to find producers who can help him get his vision on screen, unable to get the funding that British filmmakers who work on a smaller scale could realise by partnering with the likes of Bfi. He’s one of the few renegade filmmakers around. With the changing nature of the industry in the last decade distribution has became a growing issues around his recent films. 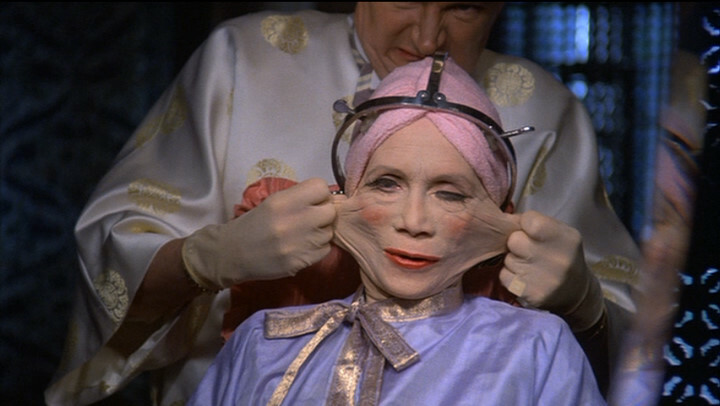 With the US release of The Man Who Killed Don Quixote, we have decided to rank every live-action film Terry Gilliam has made from least interesting to best. Only a couple of his early ‘70s animated films have been left out, because they are very much in the vein of his Monty Python work and don’t quite fit in with his feature work, and a handful of short advertisements have also been omitted. The noughts have been a difficult decade for Terry Gilliam, partly because of the numerous stops and starts involved with The Man Who Killed Don Quixote… but more about that later. The Legend of Hallowdega is by far the most atypical film in Gilliam’s entire oeuvre: a short film made for to sell “AMP Energy Juice.” David Arquette stars as ghost hunter Kiyash Monsef, and it’s set in and around the strange happenings at Talladega Superspeedway. It feels more like a project that Joe Dante would take on, but it’s mildly amusing and has some of Gilliam’s unmistakable cluttered visual style. It was clearly a job for a paycheque, and of course Gilliam (like almost any director, including fellow surrealist filmmaker David Lynch) is no stranger to doing adverts for hire—he did the famous “Secret Tournament” Nike ads to coincide with the 2002 Fifa World Cup. 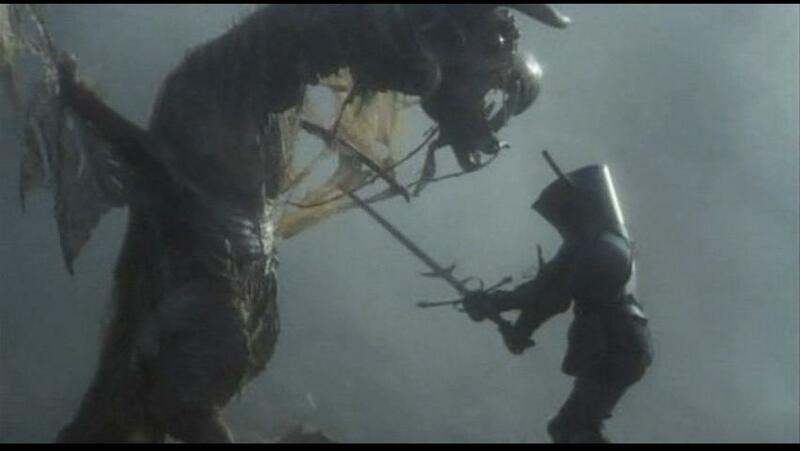 Jabberwocky was Gilliam’s first solo feature as a director after co-directing Monty Python and the Holy Grail. It’s loosely based on Lewis Carroll’s nonsense poem “Jabberwocky”’—and given the source material it’s no surprise that Gilliam came up with a completely original story. It’s one of his weaker films, still very much in the shadow of Monty Python. Michael Palin has the lead role, and the filthy medieval world he creates is quite accurate. The last segment is great, and when you do finally see the Jabberwocky, it’s pretty wonderful. His key theme of the little man against the bureaucracy emerges here, with King Bruno the Questionable his target. This is a short film, very little seen, and also basically an advert funded by the Garofalo pasta company. Shot in Naples, it’s about a ten-year-old boy who steals a Pulcinella figure from a street stall, an act that’s supposed to give you good luck. He brings it home, where he’s punished for sneaking out of the house, and since this is a Gilliam film it comes to life and leads to an adventure. Gilliam had a long-term love of Italy, where he had a second home. This was one of five Garofalo-funded shorts they commissioned, and probably the only one anybody has seen outside of Italy. It was beautifully shot by Nicola Pecorini, his go-to cinematographer. Probably Gilliam’s most maligned film over the years, partly because it was clearly a complicated production. He worked with the disgraced Weinsteins, but then again it was the biggest budget he ever had, with somewhere between 70 and 90 million. It’s wonderful to see the director with enough cash to being his fantastical world to fruition, but the film has some major issues. There were huge conflicts with the Weinsteins over casting, production, budget and final edit, so much so that Gilliam basically left the production for a short period to make Tideland, then returned to finish this off. Despite the script, written by the hack Ehren Kruger. Gilliam and his frequent writing partner Tony Grisoni did a quick rewrite, but the Writers Guild of America refused them a credit. It’s a good movie and has a great cast, with Matt Damon and Heath Ledger as the Brothers, plus some of Gilliam’s frequent collaborators, like Peter Stormare and Jonathan Pryce. Especially given Ledger’s untimely death, it’s one of the few films in which you can see his great talent. Of course Monty Python and the Holy Grail is probably Gilliam’s most-seen film and perhaps even most loved film, and although it might be slightly over-rated. 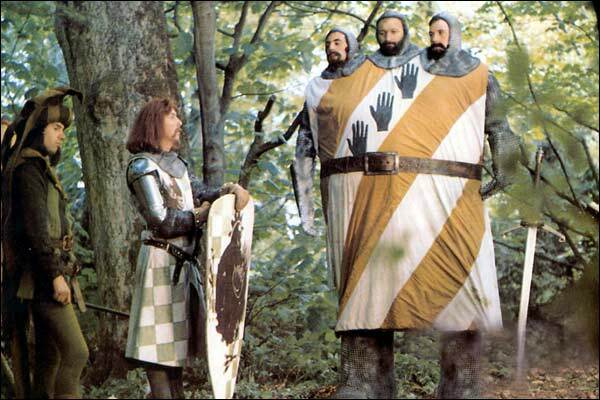 The film contains some of the most iconic moments of the Monty Python’s troupe if it’s Knights Who Say Ni, Rabbit of Caerbannog or The Black Knight to name just a few. The ending however is a let down which the breaking of the 4th wall which is reminiscent of a similar problem with the ending of Alejandro Jodorowsky’s otherwise stunning The Holy Mountain. The complicated shoot and budget issues may have played a role in the shambolic nature of the finished film, but it has so many iconic moments that all is forgiven. This was one of the most unlucky productions in a career full of bad luck: Heath Ledger passed away one-third of the way through filming, and Gilliam’s natural instinct was of course to cancel the movie. 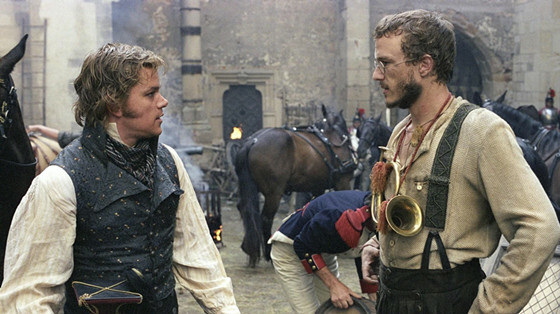 But in the end a decision was made to use friends of Heath’s to complete the film, with the plot conceit that when Ledger’s character Tony goes through a looking glass, a portal to the magical Imaginarium of Doctor Parnassus, he is completely transformed. Jude Law, Colin Farrell and Johnny Depp pitch in and make it work fairly well. It’s one of Gilliam’s most personal films as well. Christopher Plummer plays Doctor Parnassus, and Gilliam has said his character of an aging man with a vivid imagination in a world that no longer cares about such things is semi-autobiographical. Also, any film where Tom Waits plays the Devil is going to be pretty decent. Gilliam had already made Time Bandits at this point, and was moving away from Monty Python. He had also written the script for Brazil. He came up with what was supposed to a six-minute animated sequence, but convinced the other Pythons to let him make it into a live-action film. Presaging things to come in his career, it went wildly over budget and became a 17-minute film that takes up a fifth of Monty Python’s The Meaning of Life (and is the best part of the film). It was very much a dry run for Brazil: a tale of swashbuckling piracy on the high spreadsheet sea. 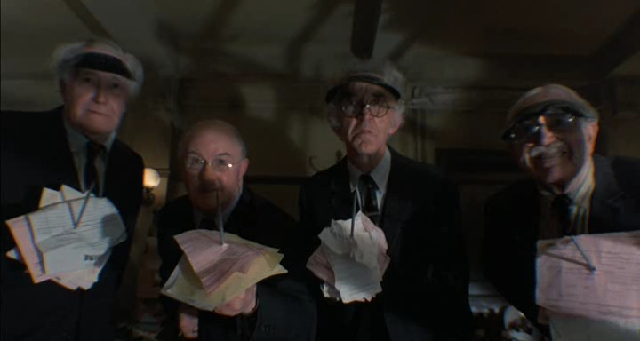 Dull accountants take up arms against the corporate behemoth in ways that remind you of Brazil, and the special effects are great. Fans of the very Gilliam-inspired TV show Max Headroom, may recognise Max himself, Max Frewer, in his on-screen debut as one of the American yuppies. 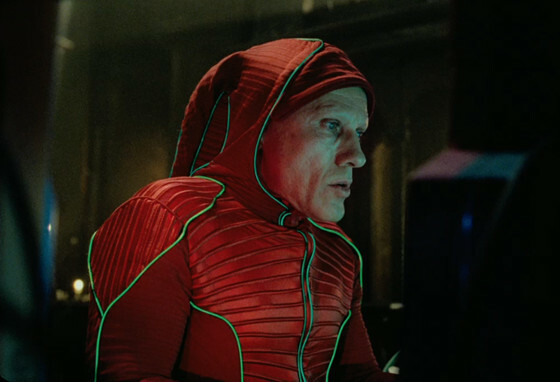 The Zero Theorem is one of the Gilliam films that got away: nobody saw it when it came out theatrically, but it seems to have gained a small cult following through Netflix and Blu-Ray. The film is set in a Utopia (NOT a Dystopia) where Christoph Waltz—in his best performance to date—plays Qohen Leth. Leth is a lonely and eccentric computer programmer, and is facing a existential crisis, just waiting for a phone call to give meaning to his life. It’s one of the most tragic stories about loneliness in our interconnected modern world, somewhat akin to Her. It draws on aspects of Brazil and 12 Monkeys, partly due to first-time screenwriter Pat Rushin’s love of Gilliam’s work, but Gilliam (who did a rewrite) makes it his own. The world is in covered in bright neon colours and amusing satire about consumerism, such the concept of Occupy Mall Street! It’s beautifully designed on a very modest budget, and beside Waltz being in almost every frame, it has plenty of great bit player roles for Matt Damon, Tilda Swinton and Lucas Hedges. Hedges plays Bob, the computer-whiz teenage son of Damon’s Big Brother-esqe character “The Management,” who seems more then a bit like Bryce Lynch from Max Headroom.